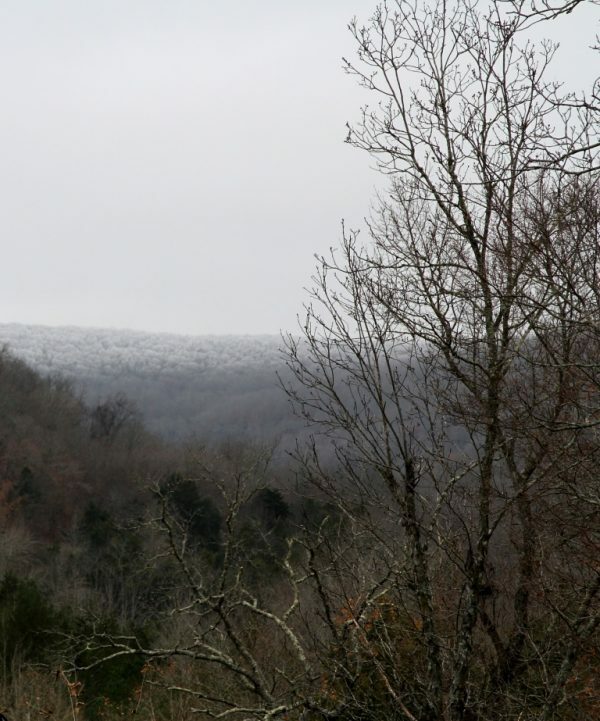 Frosty hills are pretty and the Ozark hills are sporting white capes this morning! See the distant mountain with the white hoar frost? The 4-wheeler was also decorated. A light coat of ice had the key and brake lock stiff and I had to clear the encrusted seat so I could sit. Took a very chilly ride out to the mailbox so I could send off a bill in time. When it’s foggy outside and the temps drop below freezing, all of Nature takes on a sparkly white hue. I love it when that happens. This morning only the tops embraced the chill this way, but it was beautiful nonetheless.